Facebook is indeed a powerful force in the ever-changing world of Social Media. We use it to connect with our friends, family and meet new people. One living proof of Facebook's power is Raimundo Sobrinho. Raimundo Sobrinho's life has changed with the help of a woman named Shalla Monteiro, one of the million users of Facebook in the whole wide world. 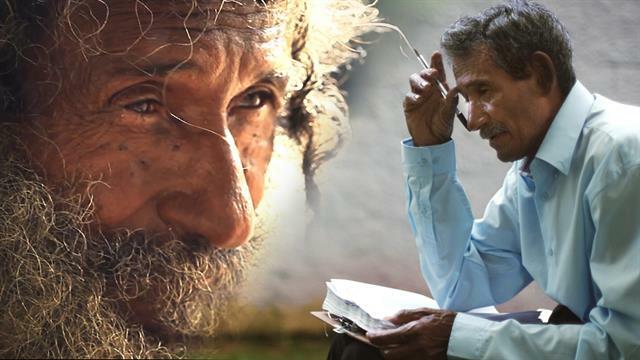 For almost 35 years, Raimundo Sobrinho is a homeless man in Sao Paulo, Brazil. He is a poet and was known by residents by sitting consistently with his poems in the same spot where people gets to read Raimundo's poems. Unfortunately, only a few people get to see his work despite the brilliance of his writings. That's when Shalla Monteiro enters the life of our talented poet. Shalla is impressed with Raimundo's work and started to create a page on Facebook to help Raimundo's work reach more people that will totally appreciate his writings. His page attracted 40,000 fans all over the world. Not only having a wider audience who adores his work became the advantage of having a facebook page, Raimundo was also able to find his brother. Raimundo's life and how Shalla helped him is included in the "Facebook Stories" initiative. Kindness is really evident with Shalla's gesture. Who would have thought that by posting Raimundo's poems through social media will make wonders? Kudos to Shalla Monteiro!